The following types of work, when recommended for a disabled person by the Occupational Therapist, are eligible for a Grant provided they are necessary, appropriate, reasonable and practical having regard to the age and condition of the property. The applicant (who may not be the disabled person) must either own the property or be the tenant of a private landlord. All applications (except when the adaptations are for a child) are subject to a Means Test to determine the amount to be contributed by the applicant towards the cost of the works. Generally the Means Test focuses on the disabled person, his or her spouse and any dependent children. 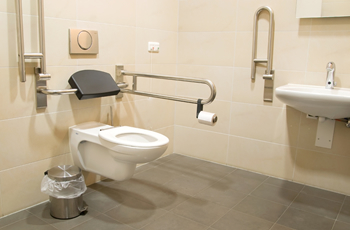 A statutory limit £30,000 applies to mandatory Disabled Facilities Grants. Any costs in excess of the amount of the grant will need to be funded by the applicant. Portable items such as cookers, fridges, etc. Able 2 will visit Service Users referred to ourselves along with our Surveyor, who in conjunction with our Occupational Therapist will draw up a scheme that will be eligible for a Disabled Facilities Grant. We will then revisit our Service User with the scheme that has been drawn up to ensure that they are fully involved with the process, ensuring that the scheme is acceptable both to them and to their families. Our Occupational Therapists will then draw up a full and comprehensive specification and forward this to the relevant Grants Department for them to progress.